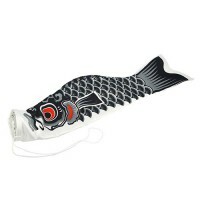 Koinobori, meaning "carp streamer" in Japanese, are carp-shaped wind socks traditionally flown in Japan Children's Day (Kodomo no Hi).These wind socks are made by drawing carp patterns on paper, cloth or other nonwoven fabric. 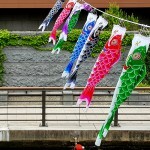 They are then allowed to flutter in the wind. 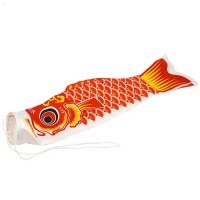 Children's Day takes place on May 5, the last day of Golden Week, the largest break for workers. 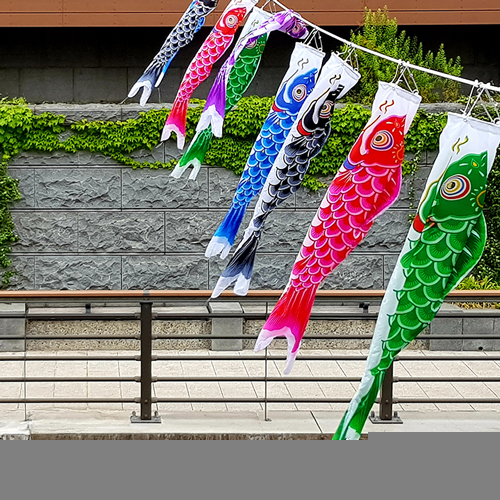 Landscapes across Japan are decorated with koinobori from April to early May, in honor of children for a good future and in the hope that they will grow up healthy and strong. 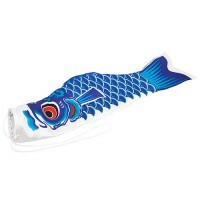 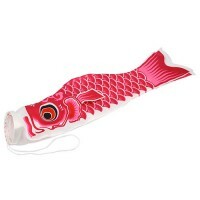 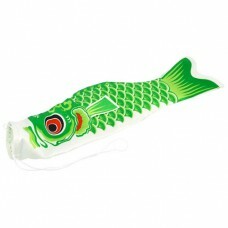 This koinobori is green, made out of satin and 55 cm long.